This is a special order item and will take 6-8 Weeks to be delivered. We will contact you prior to dispatch to arrange a suitable day for you to receive the products. 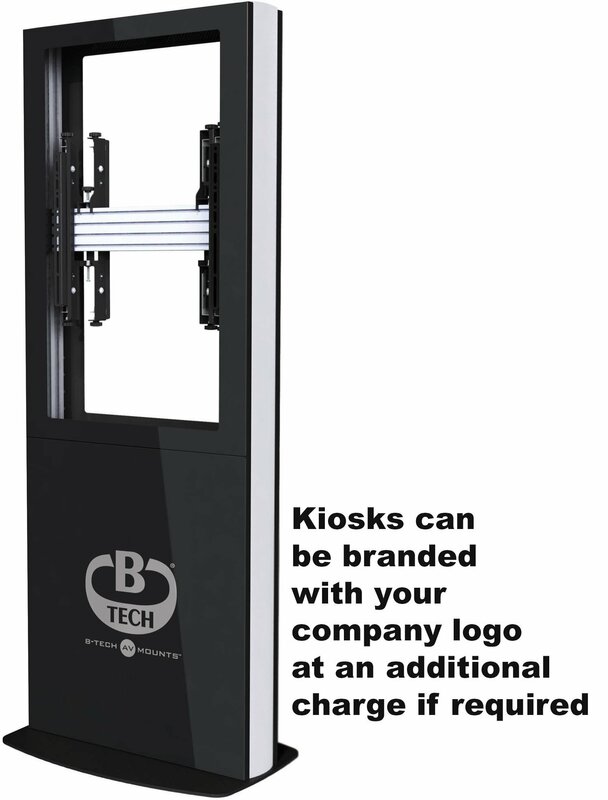 The BT7001 is a display kiosk designed to portrait mount two digital signage screens in a back-to-back configuration. 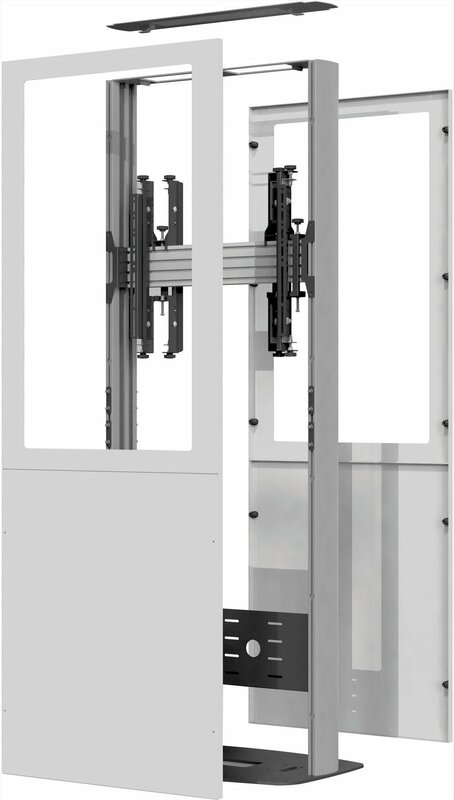 A rigid chassis is fixed to a heavy duty steel base which can be used freestanding or bolted to the floor and is finished stylishly with satin black or white outer covers. 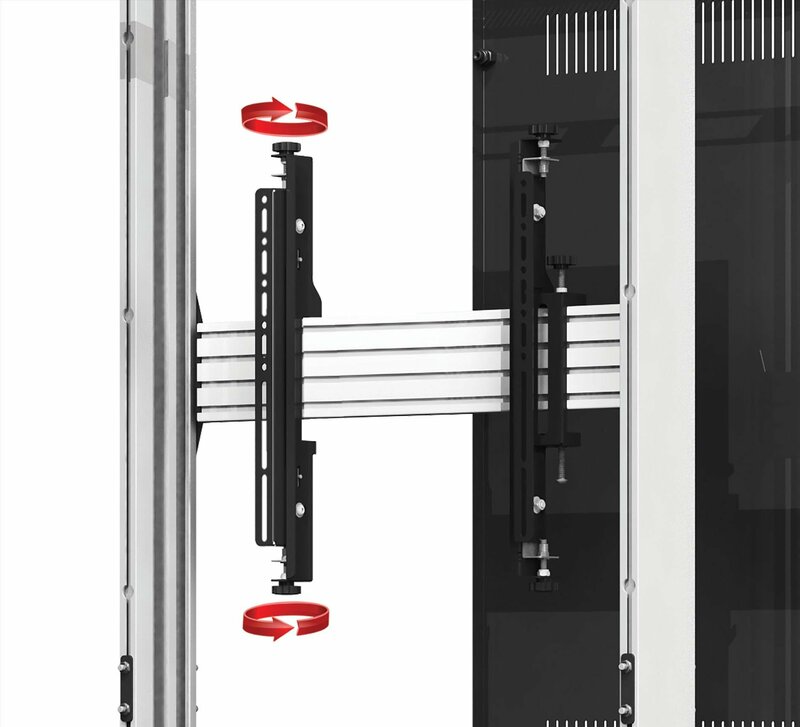 The internal mounting system is made up of parts from our System X range, allowing 8-point micro-adjustment to ensure the mounted screens sit perfectly level and flush with the front and rear opening of the kiosk, which is laser cut to match your screen size. *Please contact us with your screen dimensions to assure a flush fit.